Whether you are a large multi-million-dollar enterprise, SMB, or a solopreneur working out of your garage, brand recognition can either make or break your business. Expanding your brand presence, and setting yourself out from the crowd should always remain a business priority. It's an increasingly competitive global marketplace regardless of your industry and your branding needs to level up. That is the reasoning many business owners have for neglecting their brand development. Which ironically is why taking the time to build up your brand recognition can make all the difference to the success of your business. It’s time to worry less about the numbers, and more about the people who value your product/service. Remember that business is about people! The best part about this change in focus? Despite the misconceptions set by consulting agencies, growing your brand presence does not necessarily mean burning a hole in your marketing budget. In fact, there are ways that you can grow your brand presence without spending a dime. This article will go over just a few of the tried and tested techniques, which you can implement for free in to your business today. Business has always been about connecting with potential customers where they are most comfortable. Thanks to the digital age, the new platform for connecting, and interacting with potential leads is the web. The digital era may have been a huge leap for the marketing and onboarding processes. But it also comes with its own particular challenges that businesses face on a daily basis. The biggest challenge is building trust within your audience. Take a second, let’s think about this. Would you buy a new car from a trusted automobile provider, or would you prefer to buy the same car, at the same price from a shady character you have never met before? That is the impact that brand presence can have on your business. Which is where social media steps into the picture. A study showed that in 2017 alone there were approximately 2.46 billion users actively engaging on various social media platforms daily. Even if you had to slice this up according to your niche, that is a wonderland of leads and marketing opportunities. 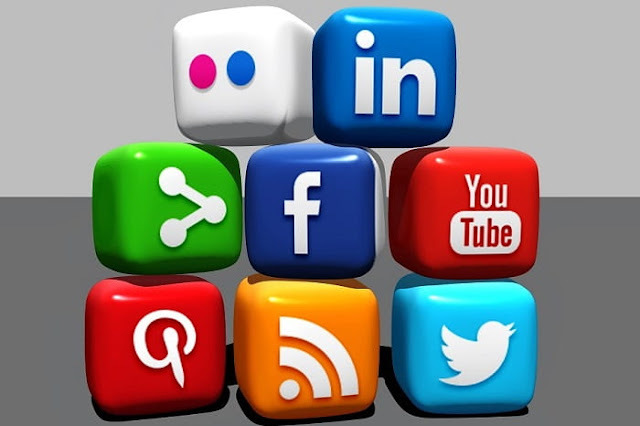 That is why you want to establish your brand name on some of the larger social media platforms. Including Facebook, LinkedIn, Twitter, Instagram, Pinterest, YouTube, Snapchat, Reddit, and Tumblr. This will allow you to connect with your audience on a platform they enjoy spending time on. Provide valuable content that builds trust and creates a desire for your products/services. The reason why this is such a great technique? It is completely free. The only cost to the business is extra man-hour to get your profiles set up and consistently provide actionable advice to your followers. The trick to creating a strong brand presence that customers can’t help but trust is to be heard in a cluttered market. You want to show your target market that you genuinely care about them, and can provide actionable solutions to solve their problems. But how can you possibly stand out in a saturated market? Take part in conferences. Get your business featured in some of the top entrepreneurial websites out there such as Forbes, or even The Huffington Post. But most importantly of all make sure that throughout all of your public relations effort, you emphasize the simple fact that customers are, and always will be a priority for your company. It sounds crazy but word-of-mouth has never been a bigger influence in developing a strong brand presence as it is in a digital age. Did you know that before going with a specific company’s service or product, 90-percent of all consumers will check out the company’s reviews? That is why it is important to exceed the expectations customers have for your business at each turn. Prove to them why you are the one company that everyone should trust. The buzz you will create will help you build a brand presence that will impact your onboarding ratios and your lead generation retention rate. Which ultimately means more sales. Something every business owner loves to hear. Okay, you caught us. This is not actually a tip to help you increase your brand presence. However, protecting your brand presence is critical to the longevity of your business. Well, do you remember the Samsung Galaxy Note 7 fiasco? We are sure you saw the memes. The supposed flagship smartphone was a complete failure and posed a real-time risk to the safety of owners of the device. Eventually, it was even banned from flights due to its uncanny characteristic to overheat and explode. What you may not know is that this set Samsung back by almost $10 billion. Well, consumers lost trust in the brand. Instead of investing money into a product that could potentially pose danger to their well-being, they switched to the corporate giant’s competitors, which still had a strong brand-presence that they could place their trust in. This particular scenario may not apply to your business. But protecting sensitive corporate information, such as personal details of your customers does. With hackers working daily to compromise IT security, your anti-hacking management needs to be on top of the game. Want to find out more about protecting the data integrity of corporate information? Head over to www.reputationdefender.com to take a look at the valuable services they offer for data protection and cybersecurity. You can and should keep your brand on point with all of these frugal and effective branding techniques. Now it's time to get to work! I hope you enjoyed this article about how to expand and protect your business brand while staying on a shoestring budget.